Pickup from the Guilin Airport by our guide and be transferred to Caoping Village, about 40 minutes drive from Downtown Guilin, stay in the Foggy Resort Hotel. The hotel is located in the middle of large areas of rice paddies. The hotel outdoor swimming pool is a good place for the hot summer night. 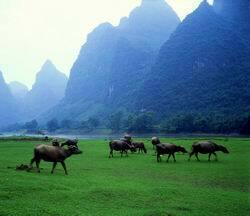 Wake up in the morning in the surprise for the beautiful surroundings of Li River. 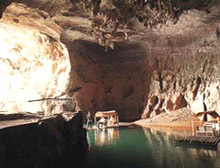 Visit Crown Cave in walking distance. 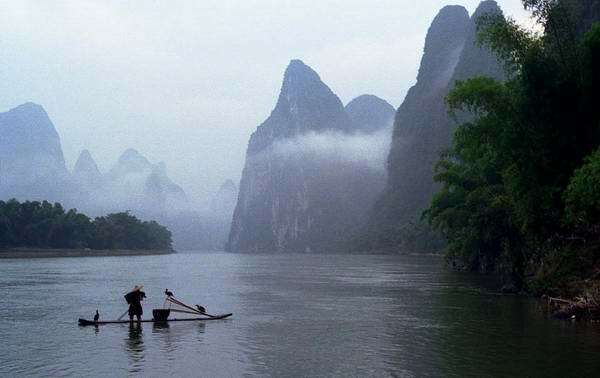 Take the Li River Cruise to Yangshuo after 1 hour visit in the cave. The total Cruise Journey is around 30 Kilometers and takes 4 hours. Free time in Yangshuo in the afternoon. Optional activities in Yangshuo: Stroll around the West street; Enjoy a class for Chinese Tachi in Yangshuo at sunset; Envening show - Impression Liu Sanjie; Cormorant Bird catching fish show at night. Li River boasts the largest and most beautiful scenic area in China, her landscape decorated with rolling hills, steep cliffs, fantastic caves, leisurely boats. Cruising on Li River, you can respire fresh air, feel the gentle breeze and appreciate the fabulous landscape on both sides. In the early morning, cycle for 2 hours from Yangshuo to Gaotian in the early morning, you will arrive at the Licun village and then you continue you bike ride on the trails to Yangshuo. The climbing of Moon Hill is about 2 hours and up and down. After a hot shower in the hotel, you will be transferred to Guilin Airport for return flight. Moon Hill, one of the highlights in Yangshuo, gets this name as a moon-shaped hole penetrating a limestone pinnacle. You will enjoy various perspectives to appreciate the wonder, here the caves taking on different looks of “full-moon”, “half-moon” or “crescent moon”. Yulong River is a small tribute of Li River, winds through rice planting fields, farm house, fishing bonds and thousands of limestone peaks. Many small dams have been built on Yulong River, still can see some relics of these ancient dams, which are used to hold water at a high level. Cycling Excursion is the best way to appreciate the pristine countryside scenery in Yangshuo as trails often lead where buses and cars can’t go. In addition, cycling riding is the most economic way to tour the Yangshuo countryside which only about 1-2 dollars per day, also a popular way.